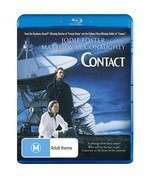 Contact is quite a spiritual journey in the science fiction realm and stars Jodie Foster as Dr. Ellie Arroway, a SETI researcher working at an Observatory in Puerto Rico. Interesting enough, this movie brings together faith, afterlife and the existence of aliens and more specifically, where mankind fits in the bigger the picture, the universe itself. Although Dr. Arroway has a personal interest in the existence of extraterrestrials, her funding is eventually cancelled due to narrow minded man who believes her efforts are fruitless. Thankfully her talents are not wasted and an eccentric billionaire, S.R. Hadden (John Hurt) continues her research and when they discover messages from the stars, his wealth helps build them the device that may finally prove that life exists elsewhere. Of course, when the world discovers that life may exist elsewhere in the universe, religious fanatics destroy the device but thankfully and a little cringe worthy, an identical device was built in Japan who are more liberal towards the views that extraterrestrial life may actually exist. Joining Dr. Arroway is Palmer Joss (Matthew McConaughey), a theologian who gives Ellie more questions than answers and assists in linking the realm of faith with the realm of science and needless to say, the actors successfully get into their roles and make the movie that just a little more realistic. Without spoiling the film, Ellie eventually makes contact and whether its her inner soul or something more malevolent on the universe, it will certain leave the viewer with quite a few questions and the ending is quite surreal. Contact is definitely the thinking man's science fiction film and to lend some credibility to the story, it was written by the late and great Carl Sagan. Sure, the movie is oozing with Hollywood but ironically, it's one of the better written science fiction films. The video quality boasts some decent high definition video for a film of this age and the special effects, especially the scenes of the stars and Dr. Arroway's journey through the cosmos, more specifically the beach is quite sharp, colourful and surreal which perfectly suits the movie. Matching the audio is the high quality audio that sounds phenomenal at certain points of the movie. With crystal clear dialogue and the wondrous soundtrack by Alan Silvestri, Contact is definitely a first class cinematic treat to Blu-ray owners. Add in a plethora of extras from commentary, including Jodie Foster, featurettes and even a music only soundtrack which is great for some background ambience and Contact has definitely received a well deserved Blu-ray makeover which we recommend.